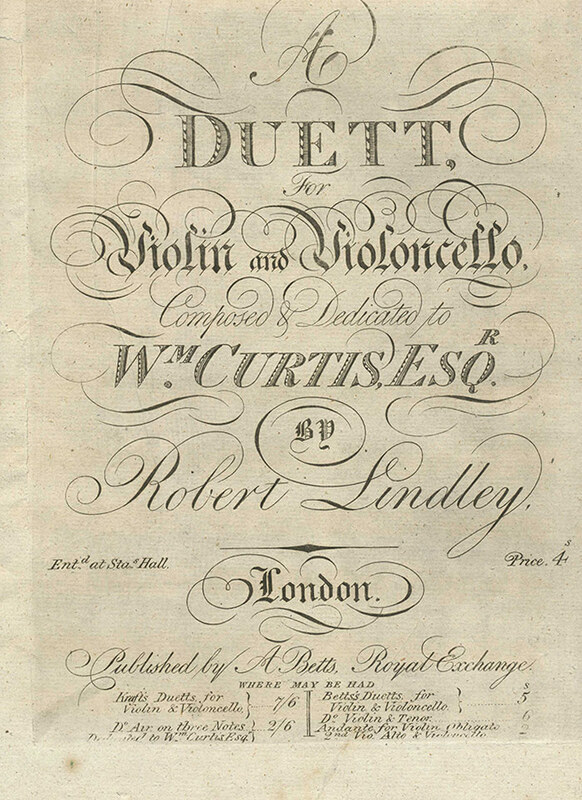 Lindley: A Duett for Violin and Cello in A Major (1810). Facsimile of ca. 1810 edition (parts only) and modern performing edition, score and parts. Robert Lindley (1777-1855) was England’s outstanding cellist in his time. He performed with the great bassist Dragonetti and published an early cello tutor. This Duett, without opus number, was published in 1810. Each of the two movements has a slow, chordal introduction; the first movement is in sonata form and the second is a Rondo.